It has been a rainy summer here in Boston. Look around! Everything is lush and green! 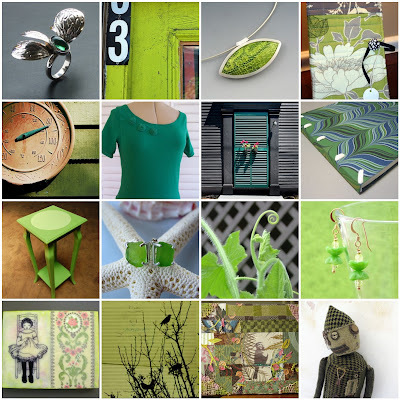 Love it...Green is my favorite color at the moment! And thanks for including one of our books!